In early Prep this morning I made an effort to get the Deb Soc Ledger up to date and got a fair amount done. We had the first meeting of the Deb Soc this term tonight but I did not speak. The meeting was for ‘Impromptu Debates’ but there was nothing very amusing except just at the end Benvenisti was talking in the flowery way which only Benvenisti can talk, on the subject of Early Prep and was just in the middle of a gorgeous sentence in which a ‘goose pate’ figured (heaven only knows how he brought it in) when the quarter went and Barrington-Ward cut him off short to everybody’s amusement, since by the rules of the Society the Debate may not go on beyond 6.15 unless agreed to by the Members. Hobson amused himself by studying a drop of his own blood under a microscope and showed me corpuscules and suchlike’ rummy little animals’ as he described some microbes to me! In a few years’ time when he becomes a full-fledged Medical Student he will be unbearable. 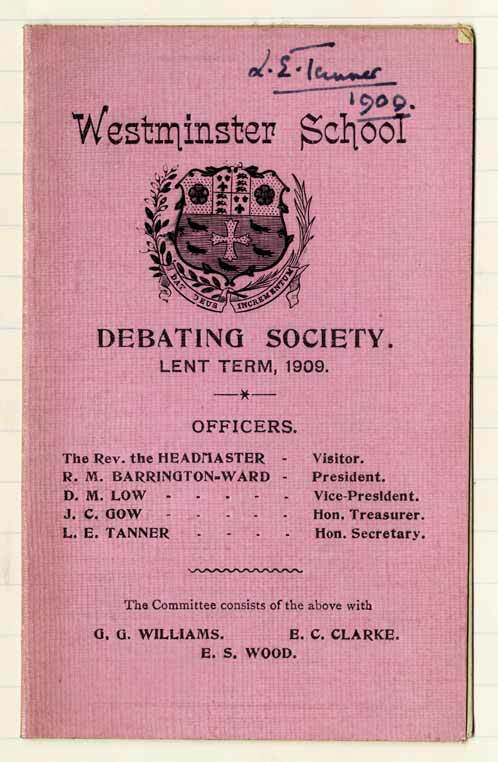 This entry was posted in Debating Society, Science and tagged Barrington-Ward, Benvenisti, Debating, Debating Society, Hobson, Prep. Bookmark the permalink.